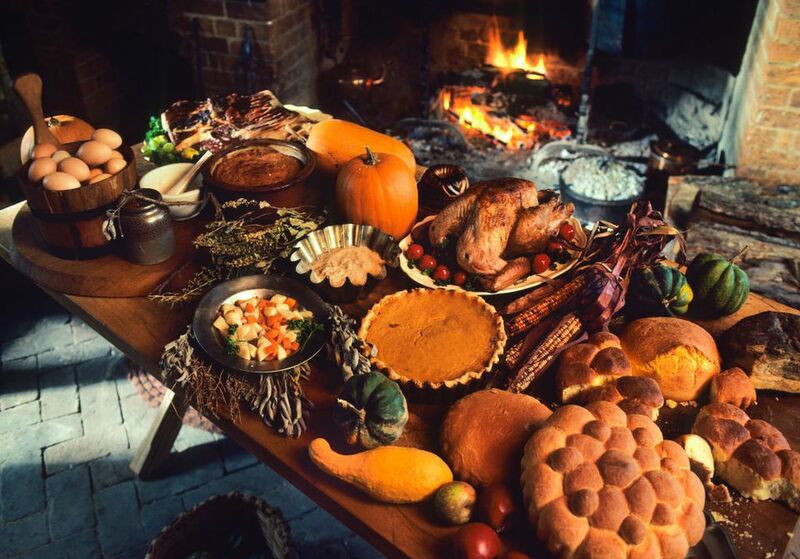 Thanksgiving is the big family feast in Northern America, maybe more so in the United States than in Canada. But what about Thanksgiving in Ireland, is it celebrated at all? Yes and no. Thanksgiving as it is known in the United States, with a late November feast starring a turkey, doesn't exist in Ireland. However there are some mid-autumn harvest festivals that have similar origins to an American Thanksgiving. Thanksgiving as it might be understood by most readers is, after all, a specifically North American celebration. In Canada, Thanksgiving is celebrated on the second Monday of October. This has been the rule since 1957, when the Parliament of Canada declared "A Day of General Thanksgiving to Almighty God for the bountiful harvest with which Canada has been blessed – to be observed on the 2nd Monday in October." In the United States, Thanksgiving is celebrated on a later date, namely on the fourth Thursday in November. This date was first fixed in 1863, when US President Abraham Lincoln inaugurated a day of "Thanksgiving and Praise to our beneficent Father who dwelleth in the Heavens". Note that both declarations emphasize the Christian background of the feast - which would have been much older than the official holiday anyway. Basically Thanksgiving is one of the numerous harvest festivals that are celebrated around the world, not only in Christian societies - at different times, but roughly connected to the end of the harvest, and generally in autumn. Actually, the word "harvest" itself comes from the Old English hærfest, a word that could mean both autumn in general or "harvest time" in the agricultural calendar. The full moon in September was also known as the "harvest moon" (long before Neil Young used it). Obviously, harvest festivals are very much dependent on the region you live in (and the crops you harvest). The Chinese Mid-Autumn Festival is held in late September or early October, the German Erntedankfest on the first Sunday in October. Michaelmas on October 29th - near the old "quarter day" of Samhain and traditionally the end and/or beginning of the agricultural year, especially under Anglo-Norman influence. This is very near to today's October Bank Holiday Weekend. Samhain or Halloween on October 31st - the end of the Celtic year and the beginning of winter. A feast around which a lot of cattle and other livestock was slaughtered and a lot of food was consumed. Martinmas or Saint Martin's Day on November 11th - another designated "end of the year" and another feast that involved copious amounts of food. Today, only Samhain is really observed ... and then often in its thoroughly bastardized and Americanized form of Halloween (complete with pumpkins, definitely not a native Irish fruit). And with the strange twist that most food consumed around Halloween will be of a processed, sugar-rich variety that could not be further from traditional harvest-time meals. So, Is There Thanksgiving in Ireland? No - if you think of a US-centric celebration at a late November date with such ridiculous rituals as the "pardoning" of a single turkey (as if the turkey had done anything wrong). There will be US ex-pats who celebrate Thanksgiving in their own way, as the Chinese community celebrates the Moon festival and Chinese New Year. But in general ... that Thursday is just another Thursday in Ireland (and before you ask, there is no Black Friday as well). Yes - though it has been largely forgotten. Today, Halloween could be said to have replaced the three harvest festivals that were once observed (depending on time and region) in Ireland. The Catholic Church has no designated day set down for a harvest festival or thanksgiving celebration - it is very much down to the local parishes to organise this in their own time. The Church of Ireland also has no designated Sunday set aside for harvest celebrations, yet a service of thanksgiving is generally observed in every parish, with special prayers and often a special charity collection. The Presbyterian Church again has no designated standard Sunday set aside, but generally there would be a celebration in each local community around harvest time.